Many people are jumping all over Piketty's claim that r>g implies growing inequality. I'm going to leave that alone, but I do want to make some points that may or may not be relevant. Many years ago, Joan Robinson suggested that workers are exploited to the extent that capitalists consume more than zero! Here's why: she 's assuming workers save nothing, so the savings rate will be arK/Y. where a is the rate at which capitalists save. Since the long-run value for K/Y is the net savings rate divided by g, the growth rate -this is one of Piketty's fundamental laws and is trivial to establish- we then have, in the long run K/Y =(arK/Y)/g, or r =g/a. So when capitalists live on air, a=1 and r=g. If capitalists consume anything, a falls short of 1 and r>g. And here's the key: r=g is needed to satisfy the Golden Rule: steady-state consumption is maximized for the representative generation only when r=g. If you are familiar with the overlapping generations model - the canonical articles, especially Gale (1973)- you know that this is right. Many people note that r less than g is inefficient. But most characterize r greater than or equal to g as efficient. And it's true, if r strictly exceeds g, we have efficiency. But the reason for the efficiency is that moving towards the golden rule would require harming the initial old generation. Every other generation, however, will be better off both transitionally and in the golden rule steady state. And what's more - see Gale and also Diamond (1965) - the harm to the initial old can be made arbitrarily small. I think people don't make this point because they've bought the infinitely-lived agent nonsense, or the Barrovian dynastic equivalent, where the optimal r is the rate of time preference. But as Gale made a point of noting, in an over-lapping generations frame-work, time preference is irrelevant! We need r=g for optimality. Robinson, as usual, was right! "Finally, there is McArdle’s dubious takedown of Snicket’s statistics. By now, Snicket’s controversial equation “r>g,” where r = points per game from center Nicklas Backstrom and g = penalty minutes/100 for winger Tom Wilson, has become something of a mantra in left-wing circles. McArdle responds with her own equation, which seems much less convincing– s = (bs – epst)*hyk, where s stands for success, bs for number of bootstraps, epst exposure to public school teachers, and hyk the Coefficient of Hayek. While I appreciate McArdle’s focus on hard work, this seems to do little to address the book’s real thesis." I'm damned if can put the link in, but look around and you'll find the whole thing! Russia, Belarus, and Kazakhstan have just signed an agreement to have a Eurasian customs union come into place this coming January, with trade barriers set to fall, "cooperation" claimed to move forward for leading sectors, and for workers to be able to freely move about from one nation to the other without work permits or visas for purposes of employment. This resembles agreements made in the past within what used to be known as the European Economic Community, now developed into the European Union. Ukraine was supposed to be part of this deal, but the overthrow of former President Yanukovich by Maidan Square demonstraters made that not happen, and newly elected President Poroshenko is unlikely to join, although he has expressed willingness to negotiate wiht Russian President Putin on various matters. I note that this moves forward Putin's effort to reconstitute at least a portion of the former Soviet Union in an economic and political group led by Russia. Led by Europe's most dictatorial leader, Alexander Lukashenka (or Lukashenko), Belarus has long been the most closely allied with Russia of any of the former other 14 republics, now nations. It is fourth in population of the former republics and I think also fourth in land area, although not quite sure about that last figure. Its economic system is probably the closest to that of the old Soviet Unon of any of the former republics, although it has a few rivals in Central Asia not part of this agreement. It has been quite economically stagnant since the end of the USSR, although higher in income than many of the former republics. Kazakhstan is second in land area and contains substantial energy resources. Like in non-member Uzbekistan, its leader, Nursultan Nazarbayev, is a full holdover from the Soviet era, a former member Communist Party chief of the republic at the time. All both of these leaders did was to change the name plates on their doors and replace their old party affiliations with newly created ones. Kazakhstan has had more success than Belarus in making successful changes in its economy and has substantially improved its economic standing, one of the better performers among the former republics, although its political system remains highly authoritarian, very much along the lines of what one finds in the other two nations in the new union. Where does all of this fit in to other groups and what are its prospects? One place it fits is with the larger Shanghai group that includes other former republics as well as China and Iran and a few other nations. This latter group is more of a political and military grouping, although as of now still very loose and more of a talking shop and designed to signal a degree of friendliness and lack thereof with respect to the US. I doubt there will be too much interaction between these two groups. More interesting will be to see which of the former Soviet republics might join, at least in the near future. The most immediate candidate appears to be Armenia, which has also long had relatively friendly relations with Russia, whom its leaders view as a protective big brother against such hostile neighbors as Azerbaijan, Georgia, and Turkey, all of which are not particularly friendly with Russia. Another possible near term candidate whose leader attended the signing ceremony, although he has not said anything about specifically about joining so far, is Kyrgyzstan in Central Asia. Much smaller than either Kazakhstan or Uzbekistan, Kyrgyzstan has had a complicated post-Soviet history. It is on the Chinese border and reportedly Chinese economic influence has become very large there. At one point it was viewed as the most reformist and pro-US of the Central Asian nations, providing airfield support for the US military effort in Afghanistan. However, it has moved to becoming much more pro-Russian in recent years. It could easily join, but is a small and not very well-off nation. Among other former republics there is a range of attitudes towards Russia, with this likely being the main variable determining the interest or lack thereof in joining this new group, which will probably enjoy some increase in mutual trade and investment as a result of this agreement. Many of these attitudes are deeply entrenched and date back to the Soviet era. So, none of the Baltic nations are likely candidates, now all members of the EU, with two of them now also both using the euro and in NATO, namely Estonia and Latvia, although arguably Lithuania may be the most nationalist and anti-Russian of the three. Others that have been and are strongly anti-Russian and not likely to join are Georgia, which was invaded by Russia in 2008, and Azerbiajan, among the trans-Caucasian nations. Moldova, the lowest income nation in Europe, is also unlikely to join, given Russian support for the trans-Dniestrian republic that supports Russia and is carved out of Moldovan territory, with this autonomous republic probably the model for the still-asserting itself Donetsk Peoples' Republic in eastern Ukraine, with Ukraine not likely to join either, as already noted. The situation in Central Asia is somewhat more complicated. Kazakhstan is joining, while the third largest in population of the former republics (after Russia and Ukraine), Uzbekistan appears unlikely to do so. With its former Soviet official, Islam Karimov, in charge, he has gone back and forth in regard to his relations with Russia, currently on the not-so-friendly side, although that nation is part of the Shanghai group. Ironically, Uzbekistan is one of those most closely competing with Belarus for having an economic system that most closely resembles that of the former Soviety Union's, but it has always been run by local elites and been a source of major corruption, with the famous case of the nonexistent cotton mill under the USSR not existing in Uzebekistan. Finally, there are Tajikistan and Turkmenistan. The former has long been the poorest of the former republics, dating from Soviet times, the extreme opposite of well-off and semi-Nordic Estonia. It could conceivably be a candidate to join this new grouping, but has so far made no moves to do so. As for Turkmenistan, it contains substantial natural gas reserves and has chosen a path almost like North Korea's in being extremely isolationist on almost all fronts and issues, using its gas to cut bilateral deals and otherwise keeps to itself in a highly authoritarian state. It also competes to be like the former USSR in its economic system, althoiugh more idiosyncratic, but with its current highly nationalist and isolationist approach, it is highly unlikely to join this new grouping. The New York Times on Carbon Cap-and-Trade: How Many Errors Can You Fit into a Single News Article? As I sit down to write this, I am daunted by the prospect of identifying and explaining every misconception, omission and distortion in this morning’s background piece, “A Price Tag on Carbon as a Climate Rescue Plan”. The sad, but liberating, truth is that I can’t take on most of them. Too much work, too little time. So let me pull out a few choice morsels. First a quick summary of the article itself. According to the Times, California has created the world’s best system for halting the steady increase in greenhouse gases in the atmosphere. They are giving away carbon permits to firms that produce carbon emissions, and firms can either use them, trade them to other firms, or emit without a permit if they pay for an approved project somewhere else (“offsets”). The long term plan is to switch to a system under which the permits would be sold, and controls are in place to ensure that carbon prices do not fluctuate too much. They currently go for $11 per ton of carbon equivalent, higher than the price of permits issued in Europe. Revenue from permit sales will go into alternative energy projects. The article quotes several economists extolling the California model, along with several natural scientists and environmental activists who think it is flawed but do not give any specific reasons. Here are just a few problems with the article out of many I could jump on. 1. $11 per ton is truly paltry. The implications should be spelled out. For instance, for simplicity let’s take the price of a gallon of gas in the US to be $4. According to the Congressional Budget Office, a carbon tax of $11/ton would translate to an 11 cent increase in gas prices, about 2.8%, and this is somewhat higher than the corresponding increase in other energy costs. A reasonable estimate of the long run price elasticity of demand for fossil fuels across the US economy is .5. So, being generous, we would get a decline in energy demand of a bit under 1.5% if the whole country were on the California plan. And this would be a one-time decline to a new, slightly lower level. (And one that doesn’t take into account population growth, economic growth or any other factor working in the opposite direction.) If you want to go lower you have to raise the tax. If by chance the US wanted to do its part to reach the IPCC’s carbon budget target, on the other hand, our demand would need to fall by about 5% per year, every year. In other words, there’s a gaping scale mismatch that a conscientious reporter would want to point out. 2. Handing out free permits is giving away money. Permits are valuable. If you give them to a firm and the firm sells them, that is a pure transfer. And who pays for it? Everyone who has to pay higher prices because they have permit costs built into them. OK, it’s not very much money because the system is so timid, but it’s the principle of the thing. 3. In fact, even if the permits are sold, the ultimate cost is paid by consumers. A carbon tax is simply a kind of value added tax (VAT). In itself it is highly regressive. If you used ordinary tax dollars from a neutral or slightly progressive tax system to pay for renewable energy, energy efficiency and other nice stuff, you would do much better. It is well known, on the other hand, that rebating carbon revenues on a per capita basis is highly progressive. 4. The biggest problem with the article is its celebration of offsets. It begins with a heart-warming story about a dairy farmer in Wisconsin who installed a methane digester with subsidies from California. Extra carbon, over and above the “cap” was allowed to be emitted because money was funneled to this biogas operation. The article was entirely credulous about all aspects of this transaction, but the story actually illustrates two of the key problems with carbon offsets. First, the offsets are supposed to adhere to the criterion of additionality, meaning that the project would not have occurred without the funding from the offset program. The article does in fact quote the farmer as saying he has long wanted to install a digester but the net cost was too high. However, without impugning anyone’s honesty, as a reporter I would have wanted to take a look at the economics myself—after all, many farmers have installed these systems without added subsidies. To be blunt, it is in the interest of the farmer to say that the offset money is needed in order to buy the digester; that’s how you get the money. More than that, even if subsidies are needed to jumpstart biogas operations, surely a lot of this has to do with the fact that natural gas prices are unnaturally low because they do not incorporate the externalities associated with fracking. (Or with climate change, for that matter.) Thus the subsidies achieve additionality only if other responsible environmental policies are not implemented. Go figure. Second, the offset racket is based everywhere on dubious carbon accounting. Think of it this way: the point of climate change mitigation is to reduce the concentration of greenhouse gases. The vast majority of the increase in these gases is due to the extraction and burning of fossil fuels—the portion of the carbon that was in the earth’s atmosphere (or soils or other sinks) in long ago times and was gradually sequestered and buried beneath the earth. Since the dawn of the industrial revolution we have been on a crash program to undo hundreds of millions of years of earth history, and we have to stop. This is the yardstick by which all “mitigation” programs have to be measured. Does a methane digester, in itself, reduce fossil fuel extraction? No. It offers a renewable energy resource, but there is no reason to expect that the extra energy from cow poop will offset fossil fuels joule for joule. The most likely scenario is that this type of energy subsidy will increase total energy use, from fossil and renewable sources combined. Partial fuel substitution may be better than none, but the carbon accounting of the offset system assumes it’s complete. It gets more complicated, however. The cow poop that goes into the digester is derived, like all organic matter, indirectly from the photosynthesis of primary producers. By turning it into methane, we are shifting it from one pathway along the carbon cycle into another. That has ramifications for the whole cycle, however. If grain is grown for cows to eat, and the cows don’t return their droppings to the soil, some other source of fertilization will be required. A dairy operation that takes in feed on one end and turns out biogas on the other is just one piece of the larger cycle; applications needed to keep the soils devoted to grain productive is another linked piece. And the use of land to grow the grain that feeds the cows rather than growing some other crop that might have different carbon cycling implications (including other biogas feedstocks) is still another. Without turning this already too long blog post into an agroecology textbook, I can’t possibly disentangle all the carbon consequences of a feedlot-dairy-biogas operation. The one point that should be clear, however, is that the bottom line, whatever it is, has almost nothing to do with the carbon accounting framework of the offset administrators—it would be as murky to them as it is to me if they actually cared about it. Offsets are not about efficiency in climate change mitigation; they are a side payment to influential economic interests in order to buy their support for a cap-and-trade system. As such, they are more loophole than not. This is enough for one morning. There’s so much more, but it will have to wait. Did The European Parliament Elections Show That The European Union Is Doomed? There has been much moaning and wailing and gnashing of teeth in many quarters over the outcome of the European parliementary elections. In many nations nationalist anti-immigrant parties made substantial gains, and many observers have argued this shows general disaffection with the European Union. Supposedly Putin is overjoyed that parties led by people who admire him, such as Marine Le Pen and the National Front in France, and also like traditional values, have done so well. Does this mean The End Is Night For The EU? Probably not. Certainly there is much unhappiness out there in the EU. But the unpleasant results may not matter all that much nor indicate all that much. While the European parliament is gaining increased powers, it remains still largely toothless compared with national legislatures. Apathy is more what has been seen, with apparently a lower turnout than any previously. Angry voters wanting to "send a message" have turned out, but otherwise not much has happened, and the more centrist parties will remain in control there, despite what appear to be embarrassing results for those centrist parties in several nations. The other point, noticed by few observers and why I am shooting this off, is that amazingly enough the nations where we saw the biggest gains by these far right parties are not in the nations that have suffered the worst economic impacts from the euro crisis and Great Recession. The three that saw a far right party do the best of any part are UK, France, and Denmark. The UK is not even in the euro and its economic problems are due to its own policies, not the ECB or the EU more broadly. I have no particular explanation why France and Denmark showed their particular results, but note that Denmark is also not in the euro, and neither has been a particularly bad performer economically relative to other nations in the EU, despite much negative press coverage about France in particular. Indeed, as many commentators have recently noted, France's job performance has been arguably superior, or at least no worse, than that in the US. What may be surprising is that the nations where we have seen victories by overtly anti-EU parties have not included the PIIGS nations, with one exception, these being the nations where economic suffering has been the worst, with that suffering arguably due to some extent being in the eurozone and suffering from policies imposed by the dominant Germans through the ECB, and so on. The one exception is indeed the nation that has suffered the worst economic damage of all, Greece. And there, the party that won is the main opposition party, left-wing Syriza, not a racist anti-immigrant party like France's National Front. Indeed, it is not an anti-EU party at all. Its complaint is against the austerity policies noted above, perfectly understandable that there would be unhappiness there about those. What is amazing is that such parties did not do better in other of the more economically suffering nations rather than relatively well-off ones. So, there are certainly reasons to worry about some of the political trends and manifestations going on in Europe, but offhand they are not nearly as bad as some of the publicity associated with them, and in the end they say much less about the future viability of the EU or even the eurozone than many are claiming. Nobody should get all relaxed over this, but this is also not worthy of panicking over. 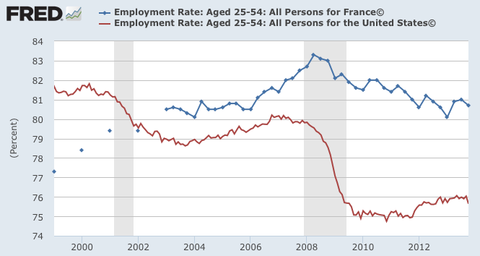 "Traditionally, it is a fallacy of the economically naïve left -- for example, four years ago France's Socialist government tried to create more jobs by reducing the length of the workweek." Now that you've mentioned this fact, Paul, how about revisiting the cogency of the lump-of-labor fallacy claim? "Economists call it the "lump of labor fallacy." It's the idea that there is a fixed amount of work to be done in the world, so any increase in the amount each worker can produce reduces the number of available jobs. (A famous example: those dire warnings in the 1950's that automation would lead to mass unemployment.) As the derisive name suggests, it's an idea economists view with contempt, yet the fallacy makes a comeback whenever the economy is sluggish." In today's Washington Post, editorial page editor, Fred Hiatt, has a column under his own name entitled, "A critique of Obama catches on." The critique amounts to Obama being "too passive" in foreign policy, with this supposedly punctuated by the recent events in Ukraine, although there is not a shred of evidence that any action or lack thereof by Obama in the Middle East (Hiatt's main focus) would have deterred Putin from annexing Crimea and engaging in further games in Russia's near neighbors. Even having a couple of more ships in the Black Sea, which I would not have minded seeing and which Hiatt never mentioned, would not have made any difference on that, frankly. So, anyway, Hiatt gets to join a general bashing of Obama and completely botches it, making a total fool of himself. What is his case? He argues that Obama missed his chance to play like George H.W. Bush at the fall of the Berlin Wall, with "the most heartbreaking being the missed opportunity of the Arab Spring," even as Hiatt notes that he still has troops in Afghanistan and has droned after al Qaeda and the Taliban in Yemen and Pakistan and elsewhere, with many thinking there has been way too much of the latter. Hiatt pinpoints as where Obama should have done something two places: Iraq and Syria. For the former, he makes the absurd argument that the US should have kept troops in Iraq. This fails to notice that al-Maliki wanted us out totally and had been making this demand of Bush, Jr. prior to Obama becoming president. Was Obama supposed to insist on keeping our troops there over the virulent objection of the leader we supported to put in place there? In any case, while it is true that things have deteriorated in Iraq recently, the situation there has nothing to do with the Arab Spring. That did not remotely happen there, and the problems there reflect political mismanagement by al-Maliki, particularly his removal of any influence by Sunnis and outright repression of them. That this has now resulted in Sunnis in the western provinces becoming militarily active and supporting their fellow Sunnis in Syria is not at all surprising. But this has very little to do with either Obama or the Arab Spring. Of course, Hiatt can argue that this does relate to Syria and he has long argued that Obama bungled by not supporting the moderate opposition more strongly when he was asked earlier. Of course, he is supporting that opposition, but those who are unhappy claim he should have done more, provided lots of military equipment. Well, maybe, but there were mighty good reasons not to. The main problem was that even back then it was clear that the radical Sunni opposition was strong, quite likely stronger in the long run than the rather wimpy moderates who wanted help, and the memory of Islamist radicals in Afghanistan using US weapons against us was very vivid and real. It was reasonably felt that the Islamist radicals would get their hands on these weapons as well. That danger only seems greater as time goes on, and although I dislike the Assad regime and he has clearly been bloodthirsty and thuggish, he looks better than the Sunni opposition. And, while there may have been some violations, it looks like the process of getting Assad's chemical weapons destroyed is on track, although Hiatt does not mention this. So, arguably the uprising in Syria began as part of the Arab Spring and is now stalled out, but the events in Iraq have nothing to do with it. What about the rest of the Arab world and nearby countries? Well, the Arab Spring began in Tunisia. After some hiccups, that is one nation where the hopes initiated with it look to maybe actually coming to pass. A more democratic and open regime is now in place. The US role there has been to stay on the sidelines and provide quiet support. Looks like a success, pretty much, although Hiatt has nothing to say about that. One of those is Yemen. The former regime was in fact replaced by a new one, although apparently not much different from the old one. As Hiatt notes, there is an ongoing drone war there with al-Qaeda. What exactly was Obama supposed to do there that he did not? Hiatt does not say, and, again, many think he is doing too much right now with the drones. The other biggies are Egypt and Libya. Egypt has certainly turned out to be a central disappointment, but it is not at all clear what the US could have done to improve things there, particularly given the deep alliance the US has with Israel, who did not want too much upsetting of the established order there. Mubarak was overthrown and the US supported democratic elections, which, as forecast by many for years, led to a victory by the Ikhwan, the Muslim Brotherhood. Now, they had a chance to play fair and make things go right, and the US was providing support for them, despite unease on the part of many. But they stepped too far and repressed too many, which led to a military coup supported by many who had supported overthrowing Mubarak. So, we are back to Square One there, although now with a younger military dictator than previously. Yes, very disappointing, but I have to say I do not see Hiatt mentioning anything that Obama could have done to bring about a better outcome, and I can think of nothing. There is also Libya, which I discussed in a post yesterday. I shall go further than I did then and say that I think Obama handled that very well with his middle of the road "lead from behind" strategy. Unfortunately, although those officially in charge there are very pro-US, the situation is completely disorganized and chaotic, with the Benghazi! situation completely dominating all discussions in the US to the point of absurdity. But, looking past that and recognizing that the place is very much a mess, in some ways it is a success of the Arab Spring, with a dictatorship overthrown, even if the government that has followed has not been able to establish its authority. What is there is in fact fairly democratic. Not as bad as most think, really. Finally, there is the matter of Israel-Palestine. I do not want to get into a broader discussion of this, and Hiatt does not mention it all. Indeed, the current view is that this is a big failure of Obama's and Kerry's. There they went, trying to bring about a peace accord against the advice of all the hawks and many others., shame on them. And they failed, just as all these wise pundits predicted. Hot stuff. But Hiatt's complaint is that Obama was not doing anything and only making minimal "hitting singles" moves. Offhand, I would say that this failed effort was exactly not that, if not related directly related to the Arab Spring. They went for a final settlement, a very ambitious goal, in the face of long odds. Their effort failed, but it was not for want of trying. Sneering at this effort while whining that Obama has not been trying anything daring strikes me as the height of hypocrisy. But then, Fred Hiatt has never been exactly fully consistent in his arguments. Chapter 5: Vietnam: Invitation to a Morass. The Matrix is an exploration of the intricate relationships between war, the economy, and economic thinking. Because of the complexity of our subject, we have tried to make our exploration more manageable by organizing our analysis around a simplified matrix, consisting of the natural world upon which life depends, together with the and three man-made subjects mentioned in the title, treated as separate pillars. Throughout history, the interrelations between these relationships have proved to be extremely dangerous, largely because of their paradoxical nature in which seemingly people in power confidently take actions that set off unexpected chain reactions with tragic consequences. The Matrix will explore that history in order to throw light upon the present. Although people had already thought about economic matters in ancient times, the idea of an economy as a separate sphere of society had not yet developed. Instead, economic thinking was largely the domain of philosophers, such as Adam Smith, who was a professor of moral philosophy. Only later did economics become a separate subject of study. By the late 19th century, a few economists were beginning to frame their work as the science of economics ‑‑ a name intended to indicate an affinity with physics. Soon thereafter, supposedly scientific economic thinking acquired increasing authority, so much so that people often became convinced that they could disregard economic analysis at their own peril. Their fear may not have been well‑placed considering how often well‑regarded economic theories helped to create disasters. Not holding another hearing in the US House of Representatives to investigate who determined or approved of Susan Rice's talking points for a Sunday morning TV talk show in Fall 2012, which represented CIA views, and which in fact were pretty close to the facts, that the attack on the State Department building (not really a consulate) and the CIA building there was inspired by the video that had set off riots in many other Muslim cities around the world, most dramatically in Cairo a few hours earlier. It is taken for granted by those on the committee, and even many Democrats, that this claim was false, but it now appears to be substantially true, although the CIA and Ansar-es-Shariah had been engaging in a covert battle for some months in the city, which the CIA wished to cover up at the time of Rice's testimony (the anger over which led to being removed as a candidate to become Secretary of State due to Congressional opposition). So, out of all the many hearings on Benghazi, I have lost count, what has Congress done? They have cut funding for security at US diplomatic facilities around the world. Can anybody justify this? No. They have also made it virtually impossible for the US to aid either the central government or the authorities in Benghazi itself in any substantial way whatsoever, because of, well, Benghazi! This in spite of the fact that both the central Libyan government, such as it is, and the local government in Benghazi, are massively pro-US, among the most pro-US in the entire Arab world. But neither has effective control, not the central government over the nation nor the local government in Benghazi over the groups that in fact carried out the attack on the US facilities there. We cannot help them because, well, Benghazi! I recognize that it is far from clear that the US government handled the Libyan situation correctly. In the end, the Obama admistration effectively took a middle of the road stance with its "leading from behind" strategy there, with Republicans criticizing the administration both for doing anything at all as well as not for going in full force in a "leading from the front" approach, with certain politicians (Sen. Lindsey Graham comes to mind) actually making both criticisms within the same paragraph of a given speech. It is easy to forget that the US did not initiate the movement against Gaddhafi, who had become much friendlier to the US in recent years after giving up his nascent nuclear weapons program a decade or so ago. The impetus came from the Arab League, led at the time by Amr Moussa of Egypt, a fan of the now defunct "Arab Spring," who was hoping to ride this to the presidency of Egypt, something that did not remotely come to pass. But with the Arab League going after Gaddhafi, that got the UN Security Council on board, with Russia and China abstaining on the anti-Gaddhafi resolutions, which were followed by the active military involvement of Britain and France, along with some token input from a few Arab nations such as Qatar, and backup support from the US. One can argue that later there was not enough security provided in Benghazi, but it can also be argued that there was not (and still is not) enough security provided for the much more important embassy in Tripoli. Who knows? But if there was not enough security (which clearly there was not), Congress's subsequent cutting of funds for diplomatic security have not helped at all. In the meantime a local military leader in Benghazi, Khalifa Haftar, is leading a Libyan National Army group (an old rebel group) against Ansar-es-Shariah and other Islamist groups in Benghazi, but without the support of the central government, and with the Speaker of the Parliament accusing him of wanting to foment a military coup. Up to 43 people have died with the fighting in Benghazi, which is still going on, with apparently little to zero input from either the US or Tripoli. Certainly the forthcoming hearings, apparently designed mostly to try to embarrass Hillary Clinton, will be completely irrelevant to whatever ends up happening on the ground in the actually existing Benghazi that is there beyond the imaginings of Fox News and others who are now so obsessed with the idea of the place, Benghazi! In the wake of Piketty, “inequality” is in. But it comes marinated in confusion. The problem is that there are two inequalities with relatively little in common. The one we had been arguing about for several decades is wage inequality. Most pay has stagnated in the US, while a few occupations, like finance, have seen stupendous rewards. Within the professions, a few superstars are making oodles while the rest are left to envy. There has been a big debate: is it about “human capital”? Winner-take-all? Deunionization, deregulation and political derepresentation? But a second inequality has appeared on the scene: the growing share of income going to capital rather than labor. This is Piketty's issue, the topic of his book. There is actually little overlap between them. Inequality I is about the division of labor income, inequality II the falling share of labor income overall. Inequality I is about the 99% versus the 1%; inequality II is about the 1% of the 1% (the top .0001) versus everyone else. The reason I'm writing this is that the current discussion mixes up these two inequalities, with the result that #2 is ignored. The first inequality is the one we think we understand, so we try to squeeze Piketty into it. But he doesn't fit. But it is not merely that they misuse their time; the main evil is that they are taught by the Unions that it is only by deliberate idleness and shirking of work that they can force up wages. 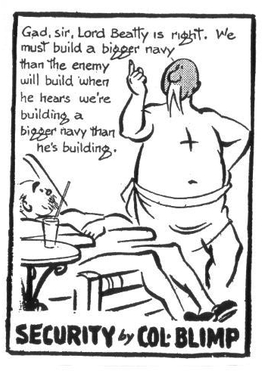 From "The Working Man As He Is." The Saturday Review of Politics, Literature, Science and Art, April 1, 1876. "When a reduction of hours was first proposed, a great deal was said about the working-man’s need of leisure to improve his mind, and the increased energy which he would put into such work as he did; but experience has shown very different results. It is certainly not surprising that ignorant men should not all at once appreciate the value of intelligent study or recreation, and it might be hoped that, in the course of time, they would make a better use of their new-found leisure. But it is not merely that they misuse their time; the main evil is that they are taught by the Unions that it is only by deliberate idleness and shirking of work that they can force up wages. Many of the men have, no doubt, a love of idleness for its own sake, and when this is indulged it grows terribly, and is shaken off with difficulty; but the majority decline to work more than a short time, not so much from a dislike of labour as with the object of making labour artificially scarce, and, as they think, consequently dear. Within certain limits this may perhaps be accomplished, but these limits have long been overpassed; and what the workingman has to consider is whether he will be content with a small income for little work, or whether he will do enough work to yield a satisfactory income. From every part of the country, and in regard to every branch of industry, we hear the same complaint that the industrial power of the nation is more or less paralysed by the caprices of the men. Not only are shorter hours insisted on, but during the hours of supposed work the great object is to take care that as little as possible shall be done. A good day’s work, as it was once known, is never heard of. The men dawdle about in the factory during their comparatively brief attendance, and take continual holidays. In some trades it is scarcely possible even for the most liberal masters to get their hands to stick steadily to work. As soon as they have got a little money, they go off to spend it, and come back in distress. They are quiet and subdued for a little while, recover their spirits as they find themselves once more in funds, and then off they go on other bouts of dissipation. It is impossible that such men can be good workmen. They have no heart in their work, and are constantly being corrupted by their bad habits and dishonourable evasion of honest labour. "It must not be supposed that we are drawing a sweeping indictment against a whole class of men, or that we attribute the misconduct which is gradually gaining ground among the labouring population to some inherent immorality on their part. There are, no doubt, still workmen who would be glad to secure a stable position for themselves and families by steady continuous work; but they too suffer from the spirit which is spreading among their class, and which is deliberately cultivated by the Trade-Unions." Thomas Piketty's Capital in the Twenty-First Century has commandeered our intellectual conversation in a way no other book has in recent years. You're probably thinking everyone has weighed in on it. Wrong. Today, we're posting a sneak preview of our Summer issue -- our review of Piketty, by Lawrence H. Summers. The former Treasury secretary, one of our most distinguished economists, offers a comprehensive take on Piketty's arguments. While he has "serious reservations" about Piketty's theories as a guide to understanding inequality, he believes that his study of the phenomenon amounts to a "Nobel Prize-worthy contribution." Our Summer issue hits newsstands in June. You can look forward to new essays from Gen. Stanley McChrystal, former Sen. Harris Wofford, E.J. Dionne Jr., Cristina Rodríguez, Paul Starr, Todd Gitlin, and Rachel Kleinfeld. As always, thank you for reading." I'm not sure how "comprehensive" Lawrence Summers's take on Piketty's arguments is. Inequality has "microfoundations" to use the "dry technocratic prose of most contemporary academic economists." And those microfoundations have been both concealed by the technocratic prose and reinforced by the resulting policy advice of academic economists, prominently including Dr. Summers. Nearly a century ago, Thorstein Veblen offered insights into one important mechanism underlying the concentration of wealth that he termed "industrial sabotage" or the "conscientious withdrawal of efficiency" by business. The basic idea is that the pursuit of maximum pecuniary gain is not the same thing as maximizing output of product. Veblen's intuition is compatible with the neoclassical analysis of imperfect competition, but, as Warren Samuels noted twenty years ago, the dry technocratic academic economists who developed theories about efficiency wages and equilibrium unemployment didn't seem to care that the "shirking" they contemplated was entirely one-sided. Lawrence Summers was among those self-styled "New Keynesians." There is much, much more to say about these "microfoundations." I have explored them in a series of blog posts at EconoSpeak titled "Microfoundations of Inequality and Sabotage." "In sum, these models [efficiency wage] provide a new, consistent, and plausible microfoundation for a Keynesian model of the cycle." -- Janet Yellen (1984). Inequality and Sabotage, explored the relationship between Thomas Piketty's "r > g" inequality and speculated, based on Veblen (1921) and Kalecki (1943), that businesses would pursue r > g efficiencies but oppose r < g efficiencies. Canny Ca'Canny, presented a hypothetical case study examining the relationship between wages, output and hours of work under imperfect competition for a firm with some degree of monopsony power to dictate wages and hours. Scoundrel Time, documented the pejorative one-sidedness, noted earlier by Warren Samuels, of the propositions about "shirking" in the efficiency wage literature and, most recently, The Sticky Wages of Sin reviewed criticisms of the efficiency wage hypothesis that make explicit its peculiarly inverted relationship to Marx's theory of the industrial reserve army. In common with the efficiency wage hypothesis, Kalecki saw unemployment as playing a key role in maintaining "discipline in the factories." Unlike the efficiency wage theorists, though, Kalecki underscored the political dimension of this discipline. Conspicuously missing from the mainstream discussion of efficiency wages and shirking is the fact that work effort is composed of both intensive and extensive dimensions. That is to say, a worker might work twice as hard for half as long and produce the same amount of output. Or half as hard for twice as long. Labor productivity is calculated by dividing total output by the number of hours worked. Edmund Phelps (1992) gives a slight nod in this direction when he offers "on-the-job leisure" as a less pejorative substitute for "shirking." If higher wages can act as a deterrent to "on-the-job leisure" why wouldn't the provision of greater off-the-job leisure perform the same feat? Robert LaJeunesse (1999) proposed just such an "efficiency week" hypothesis but there appear to have been few takers among the mainstream. The only source that cites him in connection with the Shapiro/Stiglitz hypothesis (Ferguson, 2004) curtly turns to other issues with the disclaimer that LaJeunesse's argument about reducing the hours of work increasing effort and output, "will not be pursued here." Perhaps the lack of enthusiasm for an efficiency workweek model reflects mainstream adherence to the "canonical" labor-leisure choice model of labor supply in which the hours worked are the choice of the individual worker? Paradoxically, in such a model, the wage would have a considerable effect on workers' preferences, depending on the relative strengths of income and substitution effects. Furthermore, in the labor-leisure choice model, unemployment is treated as a voluntary preference for more leisure. The approach of Shapiro & Stiglitz (1984) is formulated around a ‘no shirking’ condition, with dismissal from current employment being the consequence of being caught ‘shirking’: it is the threat of dismissal and the loss of employment, not the ‘threat’ of working fewer hours, in this instance, which deters shirking. In a similar vein, the ‘cost of job loss’ approach (Bowles, 1985), as its title indicates, is based on job loss, and not on fewer hours worked. Here fortunately it is possible to be brief. The days are gone when it was necessary to combat the naïve assumption that the connection between hours and output is one of direct variation, that it is necessarily true that a lengthening of the working day increases output and a curtailment diminishes it. Systematic study of the conditions of efficiency has abundantly vindicated the view, which after all is not very sophisticated, that, if we wish to maximise daily output, just as it is possible to work too little, so it is also possible to work too much. In "The Economic Effects of Variations of Hours of Labour" Robbins investigated the consequences, not the causes, of a change in the length of the working day, assuming such a change occurs. One scenario that Robbins discussed is of particular interest. It is the case of wages and hours fixed by collective bargaining, which in effect, Robbins maintains, "is only a simple application of the general theory of monopoly." Instead of the price accommodating itself to the given supply so that the actual quantity demanded clears the market, the amount demanded accommodates itself to the price that is fixed. For our purpose here, we can ignore the stipulation that the wages and hours be fixed by "collective bargaining" and extrapolate Robbins's conclusions equally to the consequences of wages and hours unilaterally fixed by an employer with some monopoly power. Except, of course, the outcome for the firm will be the inverse of the outcome for the union members. Robbins assumes first an agreement by workers to lengthen their working day and accept a reduction of hourly wages that keeps the daily wage constant. He argues that the resulting level of employment would vary according to the elasticity of demand for labor. At elasticity equal to unity, employment would remain constant. If elasticity is greater than one then "employment will be increased (or profits will rise); if it is less, it will be diminished." …it is not difficult to show that in certain cases a lengthening of the working day with increasing output must result in lower wages per head than would have prevailed if the day had not been lengthened… The popular belief that, if hours are lengthened, a fall in wages can always be averted or at least diminished, is only true when certain conditions are satisfied. Clearly we are a long way here from the harmony we found existing between individual income and output. A group which puts more into the common pool may be compelled to take out less, and a group which diminishes the size of the pool may receive an enhanced share. Conveniently, Robbins didn't happen to notice that there is an intermediary -- the employer -- between the group and the "common pool." The extent to which an employer can arbitrage the discrepancy between the more the group puts in and the less it takes out is indeterminate but clearly depends on the employer's monopoly (monopsony) power. This, remember, is for the case in which an increase in working time results in an increase in output, although not necessarily proportionate. At the beginning of his article, Robbins cited S.J. Chapman's "Hours of Labour" as authoritative on the technical, legal, economic and subjective factors that determine the hours of work. But there is another aspect of Chapman's article that bears directly on Robbins's point that a lengthening of the working day doesn't necessarily increase output, nor does a curtailment necessarily diminish it. Chapman's analysis goes further than that to conclude that, under competition, the hours of labour will tend to be set in excess of those that maximize output. That "under competition" is an important disclaimer. Whether the hours set under imperfect competition will be too long, too short or just right is indeterminate. If not compelled by competition, state regulation, collective bargaining or ignorance, why would an employer set hours of work that were longer than optimal for output? I am arguing that maintaining overly long hours is a strategy to maintain both an artificial scarcity of product and an artificial surplus of labor inputs. On one side, by limiting output, the seller with some monopoly power can keep prices high and thus maximize marginal revenue. On the other side, by setting longer hours, the employer can, under certain conditions, enforce lower wages and thus minimize costs. Those certain conditions are that the employer exercises some monopsony power in the labor market and that the elasticity of demand for labor is less than one. Robbins might have had something like this possibility in mind when he cautioned, "Deliberately to recommend an increase of hours when the conditions of demand are not elastic is either very ignorant or very Machiavellian." Robbins did not elaborate on his "Machiavellian" inference. Instead, he launched into a soliloquy aimed at the folly of arguing "from the possible success for a group of a policy of restriction to the probable success for society as a whole of a similar policy." As usual, it is labor, not business, that Robbins assumes to be the culprit in such policies of restriction. With all due respect to Machiavelli, "Machiavellian" has come to be almost as pejorative a term as shirker. To ease up on the casting of aspersions, I propose to designate the necessity for slack a matter of "design tolerance." The variability of markets requires a flexible response. Since the source of the difficulty is external to the firm, naturally the entrepreneur would prefer to also externalize the cost of responding to it. How might "on-the-job leisure" (to use Phelps's euphemism for idleness) be strategically imposed by management, at the expense of workers, with the objective of a “conscientious withdrawal of efficiency”? See Canny Ca'Canny for an illustration. Note: the link above to S.J. Chapman's "Hours of Labour" takes you to a thirteen-part series posted to EconoSpeak in November of 2008. The full article is also available as a pdf file, Missing: The strange disappearance of S. J. Chapman's theory of the hours of labour. See also The Hours of Labour and the Problem of Social Cost. Samuel Bowles (1985) "The production process in a competitive economy: Walrasian, neo-Hobbesian, and Marxian Models," American Economic Review, 75, pp. 16-36. Sydney J. Chapman (1909) "Hours of Labour." The Economic Journal, 19: 75 , pp. 353-373. William D. Ferguson (2004) "Worker Motivation, Wages, and Bilateral Market Power in Nonunion Labor Markets." Eastern Economic Journal, 30: 4, pp. 527-547. Michal Kalecki (1943) "Political Aspects of Full Employment." Robert M. LaJeunesse (1999) "Toward an Efficiency Week." Challenge, 42: 1, pp. 92-109. Edmund S. Phelps (1992) "Consumer Demand and Equilibrium Unemployment in a Working Model of the Customer-Market Incentive-Wage Economy." The Quarterly Journal of Economics, 107: 3, pp. 1003-1032. Malcolm Sawyer and David Spencer (2010) "Labour Supply, Employment and Unemployment in Macroeconomics." Review of Political Economy, 22: 2, pp. 263-279. Carl Shapiro and Joseph E. Stiglitz (1984) "Equilibrium Unemployment as a Worker Discipline Device." The American Economic Review, 74: 3, pp. 433-444. Lionel Robbins (1929) "The Economic Effects of Variations of Hours of Labour." The Economic Journal, 39: 153, pp. 25-40. Janet L. Yellen (1984) "Efficiency Wage Models of Unemployment." The American Economic Review, 74: 2, Papers and Proceedings of the Ninety-Sixth Annual Meeting of the American Economic Association, pp. 200-205. "Only now can one fully understand the effrontery of these apologists." -- Karl Marx, Capital. "Under capitalism, man exploits man. Under communism, it is just the reverse." -- Polish joke (cited by J. K. Galbraith in Journey to Poland and Yugoslavia, 1958). David Spencer (2002) and Aaron Pacitti (2011) have each observed similarities between the efficiency wage explanation for equilibrium unemployment (Shapiro and Stiglitz, 1984) and Marx's theory of the reserve industrial army. "In a sense," writes Spencer, "the debate has come full circle. Marx’s reserve army of labour, it seems, is alive and well and still operates to discipline resistant workers." "Efficiency wage models arrive at the same conclusion," Pacitti argues, "but for reasons altogether different than those suggested by Marx." Because the efficiency wage model indicates an inverse relationship between the unemployment rate and the wage premium needed to discourage shirking, the hypothesis, "strengthens Marx's conclusion that unemployment will lead to lower wages, albeit through a different channel." Both Spencer and Pacitti are critical of the efficiency wage hypothesis, as are Dean Baker and Mark Weisbrot (1994) and Warren Samuels (1994). Robert LaJeunesse (2004) cites Samuels's criticism of the asymmetrical treatment of shirking by the neoclassical mainstream and elaborates on Veblen's more balanced analysis of sabotage by both management and labor. Spencer mentions in a footnote the incongruity of earlier economists viewing low wages as a necessary spur to work effort "to combat the labourer’s high demand for leisure and to maintain labour discipline." He also mentions in passing that "workers may deliberately slow down the pace of their work as a defensive reaction against the threat of unemployment." Spencer neglected to mention, however, that indignation at such "restriction of output" by workers was a perennial motif of businessmen, economists and editorialists in their exasperated denunciations of a supposed lump-of-labor fallacy. These accusations were the context for Elizabeth Gurley Flynn's I. W. W. pamphlet, Sabotage, that served as an inspiration for Veblen's (1921) discussion of the "conscientious withdrawal of efficiency" by business. "Sabotage..." wrote Flynn, "is a very old thing, called by the Scotch 'ca canny.' All intelligent workers have tried it at some time or other when they have been compelled to work too hard and too long." If this labour-economics stood alone, it might be dismissed as shortsighted partisanship. But put by its side the corresponding doctrine and practice of employers, embodied in the economics of trusts and combinations. What is the directly impelling motive for the formation of most of these capitalist combines? The avoidance of 'cut-throat competition.' And what else is this than a recognition of a tendency of unregulated capitalism in an industry to produce goods faster than the market can and does expand to receive them, at a price adequate to cover costs of production? In other words, combination for restriction of output is the capitalist alternative to over-production, congestion and stoppage. Orthodox economic theory has thus come full circle, from viewing low wages as a prod to work effort and shirking as a misguided response by workers to the threat of unemployment to theorizing high wages as an incentive for work effort and unemployment as an employers' disciplinary device to discourage shirking. One element has remained constant, though: it is the workers who are presumed to sin against productivity. Dean Baker and Mark Weisbrot (1994) "The Logic of Contested Exchange." Journal of Economic Issues, 28, pp. 1091–1114. 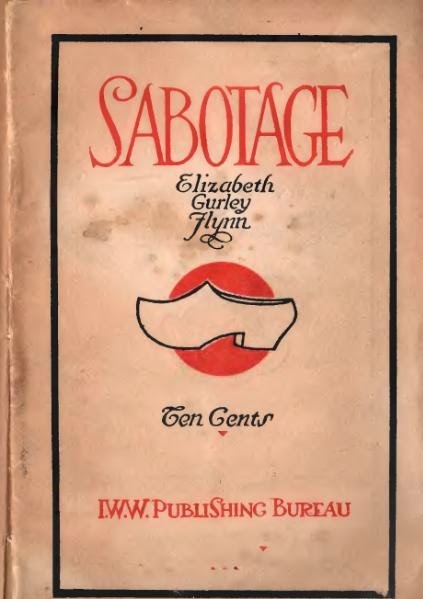 Elizabeth Gurley Flynn (1916) Sabotage. I. W. W.
John A. Hobson (1922) The Economics of Unemployment. Robert M. Lajeunesse (2004)"Keeping Labor Productive: Veblen's notion of reserve capacity and procyclical productivity analysis." Journal of Economic Issues, 38:3, pp. 611-627. Aaron Pacitti (2011) "Efficiency Wages, Unemployment, and Labor Discipline." Journal of Business & Economics Research, 9:3, pp. 1-10. Warren J. Samuels (1994) "On 'Shirking' and 'Business Sabotage': A Note." Journal of Economic Issues, 28:4, pp. 1249-1255. Carl Shapiro and Joseph E. Stiglitz (1984) "Equilibrium Unemployment as a Worker Discipline Device." The American Economic Review, 74:3, pp. 433-444. David A. Spencer (2002) "Shirking the Issue? Efficiency wages, work discipline and full employment." Review of Political Economy, 14:3, 313-327. Thorsten Veblen (1921) The Engineers and the Price System. Under imperfect competition, according to a 1960s Samuelson textbook, "The canny seller contrives an artificial scarcity of his product so as not to spoil the price he can get on the earlier pre-marginal unit." The obvious corollary to this rule is that the canny employer of labor who has some monopsony power contrives an artificial surplus of labor inputs so as to restrain labor costs. The old textbook deftly manages to evade that implication and instead treats wages and hours of work as if they were determined by perfect competition and worker preferences for income or leisure, unless disturbed by the monopolistic practices of collective bargaining. I'm guessing the omission is sustained in current textbooks. Something interesting happens, though, if we depart from the fairy tale about perfectly competitive setting of wages and hours of work and consider what might happen where the employer has considerable latitude in such matters. Keeping in mind the firm's objective is to maximize profits (not maximize output) a longer than optimal-for-output working day may offer attractive prospects. Table 1, below, presents a hypothetical case in which an eight-hour day would be optimal for output. That is to say, over the long period in this scenario, working a longer day than eight hours would subtract from potential physical output due to fatigue or "systematic soldiering." The scenario assumes that workers are identically productive and work the same number of hours. Compensation is based on output per day. The hourly rate is thus arrived at by dividing the daily compensation by the number of hours in the workday. As Table 1 shows, to achieve approximately the same output in a day, the fewest workers are required if an eight-hour day is worked. The number of workers required increases with either an increase or a decrease in the hours of work because daily output per worker declines in either direction. Now compare the eight-hour day and the nine-hour day. Daily pay per worker for the nine-hour day is almost the same as for the eight-hour day. There are only two additional workers required to produce approximately the same output. But there is nearly a 15% increase in the number of hours supplied. That's 118 more hours per day to deal with such contingencies as late deliveries, equipment breakdowns, coverage of lunch and coffee breaks, shift changes and absenteeism. Although, there is no overtime premium in the calculation, this could easily be accommodated by dividing the daily compensation by, for example, nine and a half hours instead of nine. Thus for a nine hour day, pay would be $15.08 for the first eight hours and $22.62, "time and a half for overtime" for the ninth hour. In our example, those 118 hours cost the employer ten bucks -- or less than a dime an hour. Such a deal! Moments are indeed the elements of profit. A ten-hour schedule would provide even more slack time but would result in a much reduced hourly rate and daily income in addition to increases in per-employee fixed costs. In the event of layoffs, there's also a 10% greater cost reduction per layoff for the nine-hour day than the ten-hour day. Remember, the employer's power to set wages and hours is not absolute. The example in Table 1 makes it plain that although the maximum output per worker per day may be achieved in fewer hours, an extension of the working day beyond that output optimum offers greater flexibility to the employer to alter the rate and volume of output in response to external conditions, especially if the cost of providing that flexibility is borne by the workers, either through layoffs or through imposed, unpaid "on-the-job leisure." This example can, of course, be extended to look at the revenue side of the profit maximizing problem for the firm, assuming imperfect or monopolistic competition. That would be a routine introductory textbook exercise. The above demonstration is not routine, however. I have withheld discussion of the background analysis and literature for a later post because I think the example in Table 1 makes two crucial points: first, that the distinction between maximizing profits and maximizing output has consequences for the determination of wages and hours of work; second the standard "perfect competition" fairy tale ignores these consequences. Start with his almost-namesake, John Luther Adams, much of whose music is quite spacy, in an appealing way. Then add rhythm with Steve Reich. I’ll bet there has been many a cannabis-enclouded evening spent with Music for 18 Musicians. Bela Bartok comes to mind. You can’t go wrong with his Music for Strings, Percussion and Celesta, and the first two piano concertos should hit the spot too. Readers can chime in if posting a comment is not too much hassle. Pejorative emphasis on shirking merely, but effectively, constitutes either taking the employer side or assuming that there is nothing further to be worked out, which in practice is typically simply inaccurate. Indeed, even talking about management's failure to solve the principal-agent problem privileges the employer position. Mainstream theory is asymmetrical. The analyst who opposes worker shirking without criticism of industrial sabotage is taking sides, and the analyst who opposes industrial sabotage without criticism of shirking is also taking sides. It's worth delving into just how pejorative shirk is. Oxford defines it as "to avoid meanly, to shrink selfishly from duty... Slink or sneak away, practice fraud or trickery..." Etymologically, the word is suspected of coming from the German Schurke, a scoundrel. Well, there's your value-free positive, eschewing the normative, neoclassical economics for you! Samuels's criticism was resoundingly ignored by economists theorizing about shirking. A Google Scholar search turns up ten citations, four of them by David Spencer. By contrast there are 4575 results for a search on the canonical source by Carl Shapiro and Joseph Stiglitz, "Equilibrium Unemployment as a Worker Discipline Device." Searching inside the search results for Shapiro and Stiglitz gives further insight into the asymmetry of mainstream theory. Using ten phrases such as "shirking workers" and "employee who shirks" and a like number of complementary phrases, "shirking employers" and "firms who shirks" returns totals of 588 and 3, respectively, after eliminating the false positives for the latter such as "…to prevent shirking, employers…"
The Washington Post reports (5/8/14) that on the 69th anniversary of the end of WW II in Europe, the granddaughter, Susan Eisenhower, of the commander of the Normandy invasion, Susan Eisenhower, spoke at the WW II memorial in Washington, reciting her grandfather's "Victory Order of the Day," and I shall I quote the opening passages, "Men and women of the Allied Expeditionary Force,...The crusade on which we embarked in the early summer of 1944 has reached its glorious conclusion...Full victory in Europe has been attained." Today in Moscow, May 9, there will be as there has been for 69 years, a celebration of the victory of the Stalin-led Soviet victory over Hitler's Germany, when at the first celebration the flags of Hitler and his allies were repudiated and massively publicly reviled. WaPo reported Susan Eisenhower's speech at DC's pathetic WW II memorial (no disrespect to Bob Dole, whose one functioning hand I once shook, and he is responsible for the fact that even this pathetic joke of a memorial exists in Washington), was reported on p.2 as a barely there story. So, I do not yet have what the ceremony will be in Moscow, but for this one , a day later than the US one, there will be a total national blowout in celebration. The simple explanation for this is that US deaths were a bit under a million, while those in what used to be the USSR were over 20 million. This celebration invokes the Russian-Ukrainian conflict, where both on the surface agree in celebration, but many, particularly in parts of eastern Ukraine, see it more precisely as a statement of their separate existence from Russia (or the former USSR). where y is an outcome variable, x1 is an explanatory variable of interest, the other x’s are control variables, the β’s are coefficients on these variables (or a constant term, in the case of β0), and ε is a vector of residuals. We could apply the same analysis to more complex functional forms, and we would see the same things, so let’s stay simple. What question does this model answer? It tells us the average effect that variations in x1 have on the outcome y, controlling for the effects of other explanatory variables. Repeat: it’s the average effect of x1 on y. This model is applied to a sample of observations. What is assumed to be the same for these observations? (1) The outcome variable y is meaningful for all of them. (2) The list of potential explanatory factors, the x’s, is the same for all. (3) The effects these factors have on the outcome, the β’s, are the same for all. (4) The proper functional form that best explains the outcome is the same for all. In these four respects all units of observation are regarded as essentially the same. Now what is permitted to differ across these observations? Simply the values of the x’s and therefore the values of y and ε. That’s it. Thus measures of the difference between individual people or other objects of study are purchased at the cost of immense assumptions of sameness. It is these assumptions that both reflect and justify the search for average effects. Well, this is a bit harsh. In practice, one can relax these assumptions a bit. The main way this is done is by interacting your x’s. If x1 is years of education and x2 is gender (with male = 1), the variable x1 x2 tells us that education is regarded as a factor if the observation is male, otherwise not. In this way the list of x’s and their associated β’s can be different for different subgroups. That’s a step in the right direction, but one can go further. So what other methods are there that make fewer assumptions about the homogeneity of our study samples? The simplest is partitioning subsamples. Look at men and women, different racial groups or surplus and deficit countries separately. Rather than search for an average effect for all observations, allow the effects to be different for different groups. Interacting variables comes close to this if you interact group affiliation with every other explanatory variable. It doesn't go all the way, however, because (1) it still requires the same outcome variable for each subgroup and (2) it imposes the same structural form. Running separate models on subsamples gives you the freedom to vary everything. When should you evaluate subsamples? Whenever you can. It is much better than just assuming that all factors, effects, and sensible regression choices are the same for everyone. A different approach is multilevel modeling. Here you accept the assumption that y, the x’s and structural methods are the same for everyone, but you permit the β’s to be different for different groups. Compared to flat-out sample partition, this forces much more homogeneity on your model, but in return you get to analyze the factors that cause these β’s to vary. It is a way to get more insight into the diversity of effects you see in the world. Third, you could get really radical and put aside the regression format altogether. Consider principal components analysis, whose purpose is not hypothesis testing (measurement of effects, average or not), but the structure of diversity within your sample population. What PCA does, roughly, is to find a cluster of correlations that appear among the variables you specify, making no distinction between explanatory and outcome variables. That gives you a principal component, understood as subpopulation with distinctive characteristics. Then the procedure analyzes the remaining variation not accounted for in the first set of correlations; it comes up with a second cluster which describes a second subgroup with its own set of attributes. It does this again and again until you stop, although, in social science data, you rarely get more than three significant principal components, and perhaps less than this. PCA is all about identifying the “tribes” in your data sets—what makes them internally similar and externally different. In the end, statistical analysis is about imposing a common structure on observations in order to understand differentiation. Any structure requires assuming some kinds of sameness, but some approaches make much more sweeping assumptions than others. An unfortunate symbiosis has arisen in economics between statistical methods that excessively rule out diversity and statistical questions that center on average (non-diverse) effects. This is damaging in many contexts, including hypothesis testing, program evaluation, forecasting—you name it. I will mention just one example from my own previous work. There is a large empirical literature on whether and to what extent workers receive compensating differentials for dangerous work, a.k.a. hazard pay. In nearly every instance the researcher wants to find “the” coefficient on risk in a wage regression. But why assume such a thing? Surely some workers receive ample, fully compensating hazard pay. Some receive nothing. Some, even if you control for everything you might throw in, have both lower wages and more dangerous jobs, because there is an irreducible element of luck in the labor market. Surely a serious look at the issue would try to understand the variation in hazard pay: who gets it, who doesn't, and why. But whole careers have been built on not doing this and assuming, instead, that the driving purpose is to isolate a single average effect, “the” willingness to pay for a unit of safety as a percent of the worker’s wage. It’s beyond woozy; it’s completely wrongheaded. The first step toward recovery is admitting you have a problem. Every statistical analyst should come clean about what assumptions of homogeneity are being made, in light of their plausibility and the opportunities that exist for relaxing them. UPDATE: I fixed a couple of bloopers in the original post (an inappropriate reference to IV and a misspelling of PCA).